Have been kept out of landfills in the past year thanks to Whole Foods Market’s commitment to ban plastic bags from all store locations. Amazing what an impact a socially responsible corporation can have on the planet. 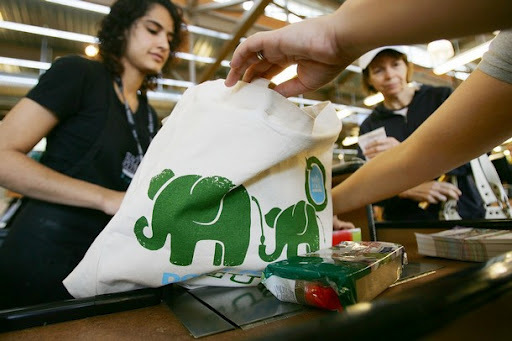 It’s a small choice, really, to physically stop carrying plastic bags but it has a huge impact on consumer perceptions, expectations and actions. Read more about the resulting changes since the ban on their blog and press release.